If your credit score has taken a plunge, you’ve probably found it difficult to get approved for anything credit related. When it comes to getting a vehicle, In-House Car Financing is a great option for people with less than perfect credit. Another key benefit of working with an In-House Financing Car Dealer is that the entire purchase and lending process takes place at one location. This reduces the amount of time spent researching and hunting for a bank or lender. In-House Financing Car Lots sell vehicles and also handle the financing related to those same vehicles. By funding the car loan without bank involvement, In-House Financing Car Dealers are much more flexible in regards to whom they will approve! Since the car dealer is also acting as the bank, they can even approve an applicant without performing a credit check. 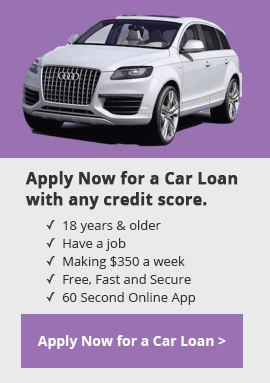 One of the interesting parts of In-House Car Financing is the unique credit terms and deals you will have access to. Dealers own the vehicles and lend their own money, which means you won’t have to answer to a bank. At times, In-House Financing Dealerships may even offer interest rates that are below the rates offered by traditional subprime lenders. The savings are particularly evident when the economy slows or declines. During these times, dealers like to create special financing offers for buyers with low credit scores with extended terms for financing. In-House Financing is also commonly referred to as buy here pay here financing or Tote-The-Note. All these terms appear very different but essentially they all mean the same thing, the dealer is acting as the bank. Getting a loan with bad or non-existing credit in the past was next to impossible. For many people with bad credit scores, In-House Car Financing is their only available option. The main drawback is that the monthly payments and interest rates are generally higher than traditional financing. The good news is, as you rebuild your credit, you may be able to refinance and lower your interest rate at a later date. You should apply for auto financing with Freedom Auto Financing because we have a national partner network that includes lenders, traditional dealers, and In-House Financing Car Lots. More importantly, at the touch of a button you will have access to our entire dealer lender network. Apply now! It’s free, fast, and we never require a commitment.